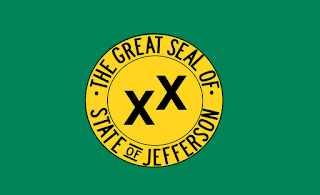 In October of 1941, the mayor of tiny Port Orford, Oregon, announced a plan to secede from the state and join several surrounding counties in southern Oregon and northern California to create the 51st state, the State of Jefferson. Though the announcement was made more in an effort to draw attention to the lack of infrastructure and support from the state's capitals than it was a serious effort to create a new seat of government, that sense of independence and self reliance has lived on in Oregon's southern reaches. Today's State of Jefferson ethic can also be applied to the serious wine producing region seeking to make a name for itself independent from Oregon's signature wine in the world-renowned Willamette Valley. For Herb Quady, it was that spirit of independence and the opportunity to be a part of something in the making that drew him to the Rogue and Applegate Valley region. "In coming to Southern Oregon, I was hoping to be an integral part of an emerging winegrowing region. I thought it would be fun to be one of the people who could do some of the big work, and help to discover what would really succeed in the region." In moving to Oregon, Herb Quady left behind a post as the Associate Winemaker of the very successful and, at the time, very large, Bonny Doon Vineyards in California. California had already been established as the birthplace of serious American fine wine. Herb described the feeling in the industry there as a bit "claustrophobic" with so much having already become so done and all of the big questions had more or less been solved. In the Oregon's State of Jefferson, Herb found an opportunity to be a part of the discovery. An added bonus was the community of winemakers willing to take chances and display some of that "rogue" mentality within the Rogue Valley. For Herb, Southern Oregon is special in that it's offering the American wine conversation a new chapter for wine: "big reds" (read: not Pinot Noir). "We have the opportunity to blaze a kind of third way for red wine, different from that of California and Washington. This way would emphasize balance and grace." This third path for reds highlights lower alcohols and a focus on the "spicy and savory" character of the varietals rather than an emphasis on making a fruit forward wine. These wines are made possible by the difference in the climate and topography that makes up this dynamic Southern Oregon wine region. Elevation ranges from 700 to 6,600 feet and the temperatures tend to be more similar to Walla Walla than to the Willamette Valley. This means that Southern Oregon can produce a variety of wines that suit a variety of micro-climates. Cool and warm varietals are doing well, and for Herb Rhone varietals is where he's focused his label's effort, save for his Cabernet Franc which is developing a cult like following. Herb has found that variability to be one of southern Oregon's greatest assets. He's produced for his label and, as the winemaker at Troon Vineyard, for Troon's Zinfandel, Syrah, Cabernet Franc, Viognier, Vermentino and Riesling, among others. Herb also sees other producers crafting some excellent wines, citing the white Rhone style wines of Cowhorn as well as the Petit Sirahs of both Folin Cellars and Spangler Vineyards. I sampled several of the Quady North wines and have included tasting notes from a few favorites for brevity's sake. The labels are visually fresh and eye-catching, in the style of old school "sailor tattoos" and they're designed by Herb's wife Meloney. Herb says that on occasion someone will remark that the "labels are great, and the wine is good too." Which is okay by him. Across the board you notice the lower alcohol levels as well elegance, the wines don't come out and thump you over the head. Instead you've got refined reds that emphasize minerality and complexity and white wines, and a rose that bring acidity and zing to the palate. 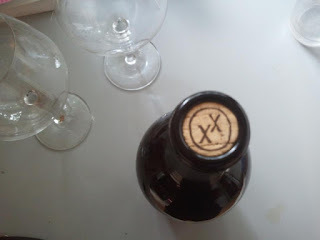 We were crazy about the Rosé from Quady North and it was our Friday Find on April 20th and you can find our thoughts on it here. These wines were provided as samples by the winery.